I had heard of Ere Perez for quite some time, as it’s a popular Australian brand, so I was very excited when I was contacted to try out several products*. Ere Perez Cosmetics has been active for 8 year, and how could I not be drawn to the crisp white packaging, the variety of the line and the reasonable price (well at least in AUS dollars). One of their star products. Ere Perez mascara is the first mascara I tried after using up W3ll People’s expressionist mascara, which has been my favorite mascara so far. Therefore Ere Perez had big shoes to fill in, but I was pleasantly suprised by how well it performed. It’s a dry formula and, for the first few months, it stayed clump- and smudge free. Now that it’s almost empty, it’s starting to flake a bit, but I use my Sante Lash balm prior to applying the mascara and this solves the problem. I can actually compare it to W3ll People’s in terms of volume, it lifts up the lashes and thickens them. Those longing for more definition might be less satisfied though. It also wins the title of the best smelling mascara. It genuinely smells of almond oil. It would tick all the boxes for me, if it didn’t contain silicones (i.e dimethicone and cyclometicone), which I normally tend to avoid. Both rate 2-3 on EWG, which is obviously not as alarming as other ingredients, so it’s up to you if you are okay with this or not. (citrus bergamia). May contain: iron oxides. It’s a light translucent finishing powder made with corn starch (the smell of corn is actually noticeable in the product too!). It’s a great multitasker : primer, finishing powder, mattifier. I mostly used it as a substitute foundation for a light coverage. It manages to even out the skin tone naturally, without drying out the skin. I enjoyed it less as a finishing powder over foundation, as I thought it looked too heavy on me. According to their website, you can also use it as an eyeshadow primer, but I haven’t tried that yet. 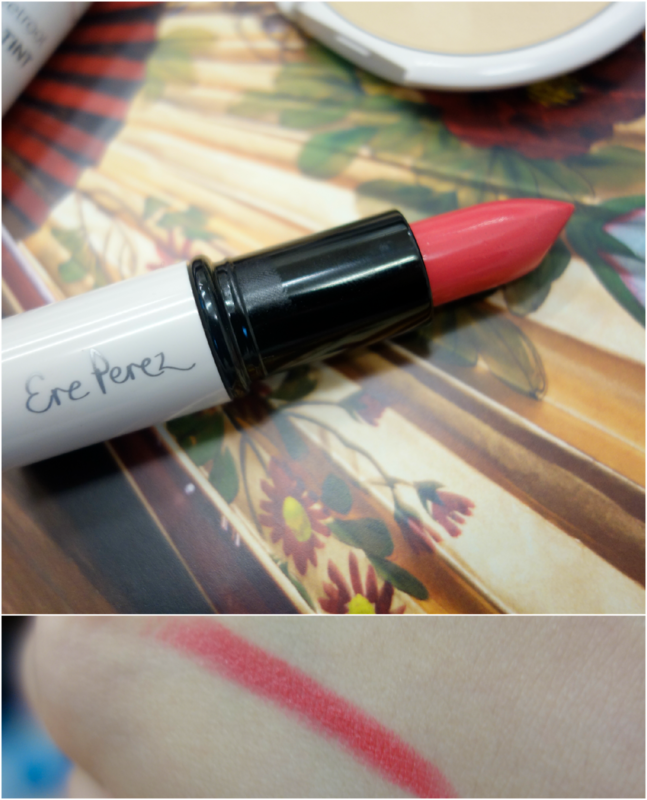 I got to try the shade “Birthday” which is a vivid pink coral. It lives up to its name, because it’s such a perky and flattering shade. At first impression, it’s not the creamiest formula, but it warms up and softens up upon several uses. Keeping lips hydrated and conditoned before application remains necessary to really benefit from the gorgeous color. However, I was particularly impressed by the wearability and long-wear: it lasted strongly for 6-7 hours. I’m used to lipsticks lasting 4-5 hours, so this is definitely an improvement. The most intriguing product of the bunch. “Joy” is a deep and glamorous red made with natural pigments (beetroot), and it comes in a roll-on. It brings back so many memories and makeup nostalgia, since I used to enjoy those fragranced lip roll-ons when I was a little girl. However, I wouldn’t leave this one in the hands of a child, as it requires a little bit of technique to apply the colour stain properly. Highly pigmented, it dries up at the speed of light, so it’s best to use it with caution and sparingly : I once inadvertently applied too much, and despite a vigorous blending, the “flushed cheeks” effect turned into a rather clownesque look. I had to apply powder all over my cheeks to soften the colour. Same applies for the lips, delicate application is key, otherwise it goes on a bit patchy. Instead of applying the roll-on directly on my lips and cheeks, I’ve found it easier to apply the product on my finger and then work it on my face. Last but not least, this is definitely waterproof, once the product is on, it stays put. Overall I’m really happy I got to experience Ere Perez Cosmetics’ line. I thoroughly enjoy the creativity of this line. Like I said, not all products are vegan and preservative-free (none is above 3 on EWG though), therefore your thoughts about the products will depend on your ingredient preferences. My favorite product remains the mascara, as I was absolutely pleased with the volume and length it provided. Have you tried Ere Perez Cosmetics? What’s your favorite product? I've never heard of this brand! But it sounds lovely. I especially adore the pretty lip hues here. I definitely want to try them out! I'll definitely need to keep this brand on my radar. Always looking for a good powder. 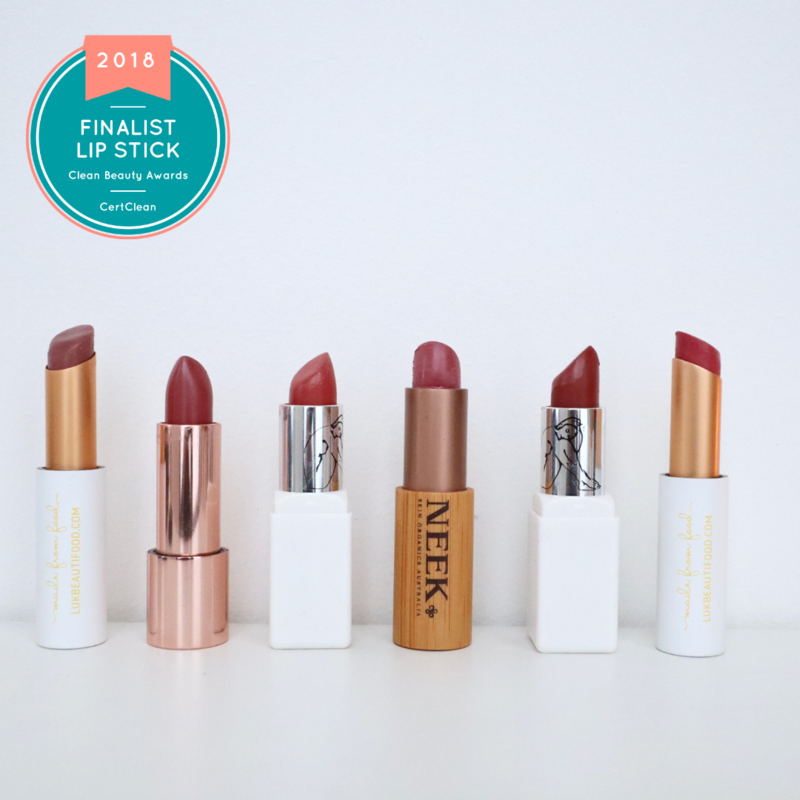 Hi Liz, it was interesting to hear your opinion on this brand as I have also reviewed a few of her products, including the two mascaras and the lip/cheek tint (in lovely). I ultimately love this brand. My fav product is the lip/cheek tint in lovely. I don't think I could pull off the other colours! The Birthday lipstick colour looks really nice! 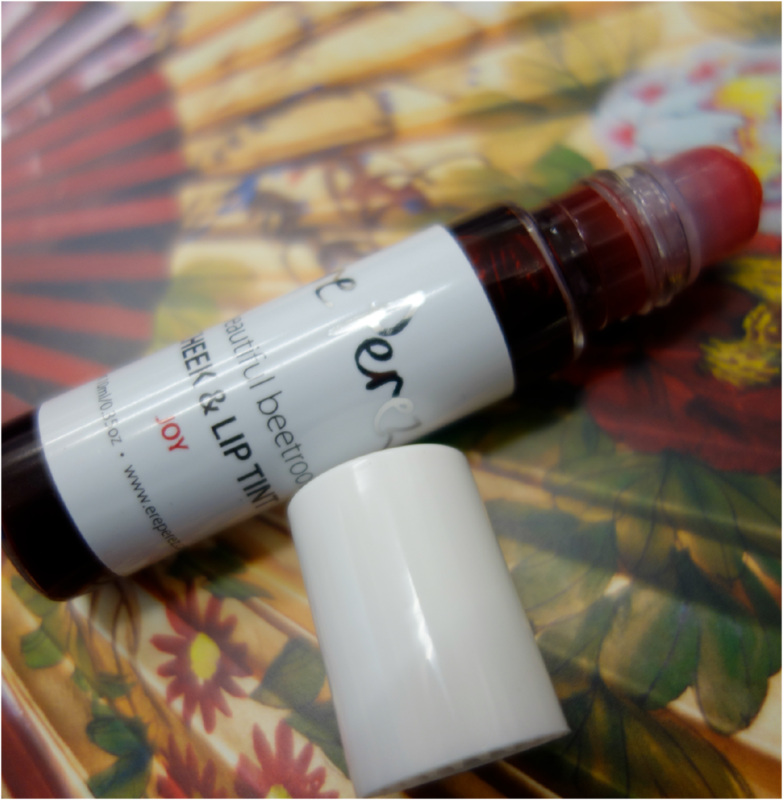 Whoa, that lip tint is pigmented! Just curious, but how does the mascara compare with any other clean mascara that you've tried before? I've used 100% pure mascara and I love the volume and definition it gives after 2-3 coats. At that point it looks like Tarte Gifted after 1 coat. I probably shouldn't be getting any more mascaras anytime soon though, since I'm subscribed to Petit Vour and waiting for my February box! I've not heard of this brand before! Love those lip colours and the mascara looks great, shame about the silicones! I didn't know Ere Perez has dimethicone and cyclometicone, so sad to hear about that, so the 4 products you have tried are in the scale of 3 on EWG, what about all the line? 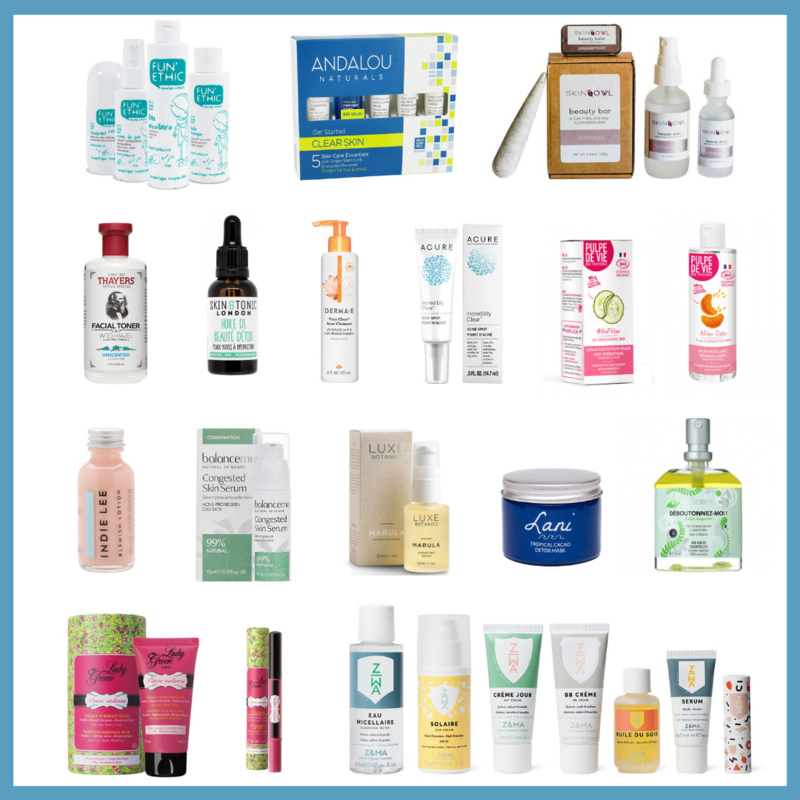 With line do you recommend 100% free of toxic chemicals? If I recall correctly the powder and the mascara contain the sillicones which are in the scale of 3, the rest of the ingredients are on the lower scale, but yes I agree it's a shame. Hopefully in the future they'll change the formula. The rest of the line is more or less the same. Not all contain silicones though, lip products don't.